Discretion is imperative in my business! According to the American Society for Aesthetic Plastic Surgery, in 2013, Americans spent more than 2.5 billion dollars on injectables like Botox®, Juvaderm® or Restalyne® alone. Most of the times, there is absolutely no downtime, however in some cases, there can be Bruising and Swelling around the mouth, eyes, or neck, which may take anywhere from 1 to 2 weeks to disappear. Of course you can try to cover those bruises with concealer and mineral powder foundation, however, what if you have to be in public? As a Lymphatic Therapist, specializing in cosmetic surgery, and working with foremost plastic surgeons and dermatologists, as well as facialists and make-up artists, I count amongst my patients and clients several well-known actors and public figures. And YES, there have been some “injection bruises”, and frantic phone calls/texts because the client had to be in front of the camera within 4 days. 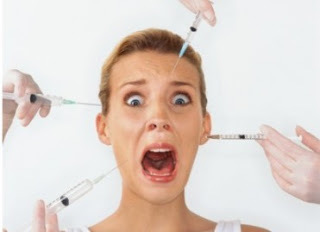 You don’t have to be an actress or rock star; I can help reduce bruising and swelling from Botox injections or fillers through a gentle, non-invasive signature lymphatic treatment. Depending on the amount of bruising, I can speed up the healing time by 50%-75%! Instead of 2 weeks, you may be free of bruises within 3 to 4 days. Please feel free to call/text or email me.